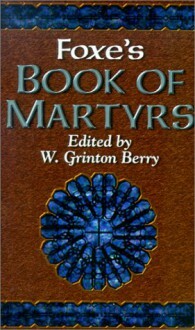 This Christian classic tells the stories of brave men and women who were martyred for their faith in the fourteenth through sixteenth centuries. Although depressing at times, this is a great book for anyone who enjoys studying history/religion/ or just want to be inspired. A lot of amazing stories are told along with many heart breaking ones.